After time spent working for Humber and Dunlop, John Davenport Siddeley established the Siddeley Autocar Company at Coventry in 1902. He initially sold Peugeots and when these were fitted with hub-caps that read Siddeley he thus became a 'manufacturer'. With backing from Lionel de Rothschild an approach was made to Vickers, owners of Wolseley, regarding production facilities, and a Vickers factory at Crayford near Greenwich was re-tooled to build Siddeley motorcars. 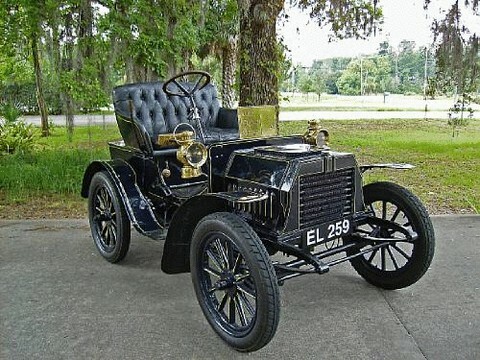 Single, twin, and four-cylinder models, all with vertical front-mounted engines were available from early in 1904. When Herbert Austin left Wolseley in 1905 Siddeley became general manger and for a time the cars took on the Wolseley-Siddeley name. These early and the subsequent activities of J D Siddeley – first with Siddeley-Deasy and then as head of Armstrong-Siddeley Motors, makers of aero engines as well as motorcars, saw him become one of Britain's leading industrialists and his ennobling as Lord Kenilworth.